Minsk Maskouski Court fined Mikail Pashkevich, activist of the ‘Havary Praudu’ civil campaign, BYR 1,400,000 for staging an unauthorized rally on the International Youth Day, Radio Free Europe/Radio Liberty reports. Pavel Sapelka, a lawyer, informed that because of the prison administration one more attempt to visit a dentist Mikalai Autukhovich failed. On 30 July, Dunja Mijatovich has delivered her first report at the OSCE Permanent Council in Vienna. In the report on two dozens of the OSCE participating States, to which Mijatovich addressed with different questions concerning freedom of mass media, Belarus is mentioned as well, Radio Svaboda informs. The Assembly of Pro-Democratic NGOs of Belarus has released an official statement, urging the authorities to put an end to mass harassment of the ‘Havary Praudu’ activists. 20 May the Belarusian Association of Journalists (BAJ) made a statement in which it expresses its indignation because of a new wave of repressions against the freedom of expression in Belarus. The wave started 18 May with another police raid at offices and private apartments of civil activists. The US Embassy calls on the Belarusian authorities to carry out an “open and unbiased” the facts of violations during the local council electoral campaign. Today, international media and press freedom organisations issued ” For Free and Fair Media in Belarus”, a report calling for far reaching reforms of the media in Belarus. On April 9 “Belarusian Helsinki Committee” directed an appeal to the Central Election Commission and asked to explain which way counting of votes by every member of district commission must be carried out. The question was raised because Election code establishes procedure of counting votes by the members of Election Commission but it doesn’t establish a certain way of counting votes and doesn’t establishes the way duties are distributed between members of the commission during such counting. Today, on 24 March Minsk Leninski Court convicted Viasna’s activists Ales Bialiatski, Valiantsin Stefanovich and Iryna Toustsik of violating Article 23.34 of the Civil Code (violation of public event procedures) while staging a picket of protest against the recent execution of death penalties on 23 March in outside the Presidential Administration building in Minsk and fined them BYR 17,500 each. On March 18, the Supreme Court is to deliver a judgment on complaint of the Belarusian Association of Journalists (BAJ) at actions of the Ministry of Justice. On 30 January a Constituent Congress of the youth organization “Young Front” was held in the Minsk headquarters of BNF. Statements by Pyotr Miklashevich, the Chairman of the Constitutional Court, at the yesterday’s press conference came as a shock. At a press conference on January 26 Chairman of the Constitutional Court Pyotr Miklashevich told whether Customs Union agreements are in line with the Constitution; how death penalty can be abolished; and why the court does not check the legality of Alyaksandr Lukashenka’s decrees, Euroradio reports. 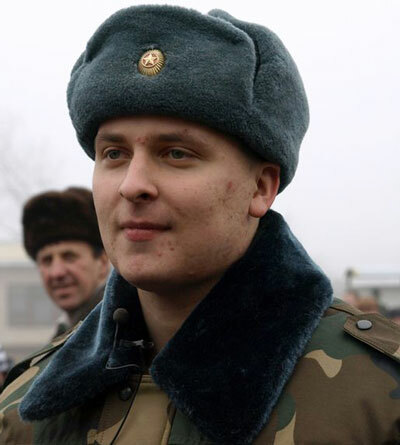 Police and prosecutor’s office paid no reaction to the complaint of the Young Front chairman Zmitser Dashkevich about his abduction and taking out to a forest on 4 December. “The human rights organization “Reporters Without Borders” urged the government of Belarus did not hinder the work of journalists of foreign media. Minsk city executive committee banned the picket “Belarusian school for Belarusian children” on the grounds that the action would allegedly interfere with the movement of vehicles on the Banhalor Square. On 9 September the protestant church “New Life” called for support to the Special Representative on the infringement of rights of believers of the UN Human Rights Committee. Protestant society asks to intervene in the situation urgently. Special guest status in PACE will be returned to the parliament of Belarus only after the moratorium on the death penalty. This decision was taken on 23 June at the PACE session in Strasbourg. As said the representative of the HRC “Viasna, Valiantsin Stefanovich, human rights activists fully support this proposal. On 25 March Maryiana Hruzdzilovich was suddenly dismissed from the position of a teacher at a branch of the British educational center SOL Minsk. The reason was a fabricated letter, allegedly sent by a group of parents, in which it was stated that the teacher was dealing with oppositional propaganda among pupils. By the way, it was impossible to collect parents’ signatures under the letter, as the classes, at which the teacher reacted to a disgraceful saying of a pupil about participants of 25 March action, ended at 9 p.m., and the following morning the administration of the educational center received the letter concerning this incident. Maryiana also made telephone calls to the parents to ensure that they had received no telephone calls and there were no talks about complaining against her. Only later did the teacher found, that the father of the ‘insulted’ pupil was a police colonel. On 6-7 March the 6th assembly of pro-democratic NGOs of Belarus was held at the international educational center (IBB) in Minsk. The aim of the forum was to analyze the situation in the third sector, the juridical situation of NGOs and elaborate and adopt the strategy of the Assembly’s activities for the near future. On 20-21 February Minsk hosted a regular session of the International Student Human Rights School/Students’ Rights, organized by the Studentskaya rada initiative, Youth Human Rights Movement and the Youth Network for Students Rights, and visited by 25 teenagers from Belarus, Ukraine and Russia. The seminar was conducted by a CE expert Andrei Yurov, along with Dmitry Makarov, coordinator of the Youth Network for Students Rights. The action in memory of the assassinated Russian lawyer Stanislav Markelov and journalist Anastasia Baburova was held in Minsk on 1 February. Some 15 people gathered in front of the Russian embassy in Minsk carrying candles and portraits of Markelov and Baburova. The participants of the action expressed their solidarity with the Russian civil society and condemned the brutal murder of the famous human rights lawyer Stanislav Markelov and independent journalist Anastasia Baburova in broad daylight in downtown Moscow on 19 January 2009. Ball’s on the procuracy’s half of the field! LAW OR UNDERWORLD RULES? And – how long can we be getting “runarounds”…! ?